How many people can you fit on a war chariot? What did the people Caesar called “Britons” call themselves? Since you’ve finished with that character in your story, can I kill him in mine? These are the kind of questions that have been bandied about over the summer by the team putting together a collection of interlinked tales to form A Year of Ravens – a novel of the Boudican Rebellion (of which, more when it’s published – hopefully mid-November). Three or four, but only if two of them are quite small, everyone is good at balancing, and you don’t actually go anywhere or fight anybody. Yes – but not as horribly as you’d intended. I have to say that whatever they called themselves, I’ve always found the ancient Britons much harder to grasp than the Romans. Not only were the all the written records made by their conquerors, but our notions of who they were are overlain with a lot of ‘Celtic’ material that either comes from a different place or a different time. 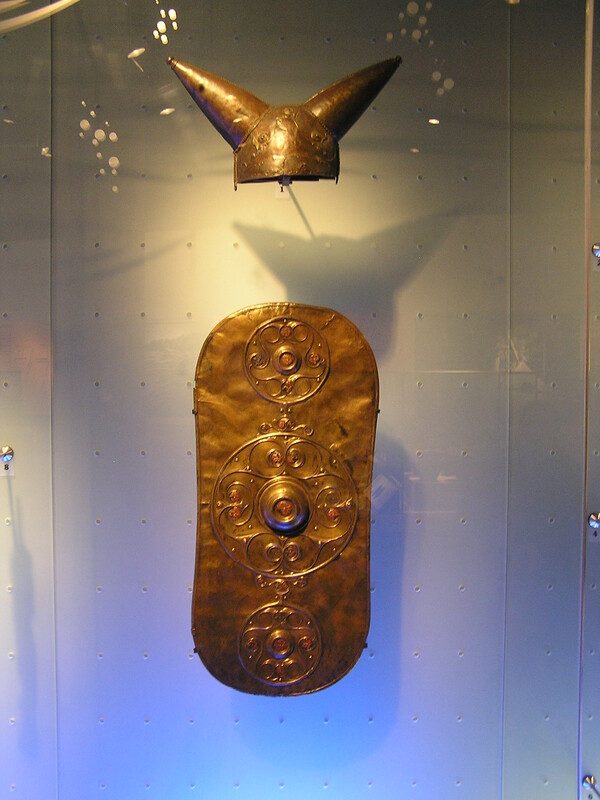 The debate about who the Celts were, or are, often engenders more heat than light. The arguments faded into irrelevance, though, as I stood and gazed into what – for me – was the star exhibit: the wonderful Gundestrup Cauldron. It’s a massive silver vessel covered with pictures that are the stuff of dreams, or nightmares: in one famous panel, little figures march forward as if they’re on a factory line, waiting to be hauled into the air and dunked into a mysterious pot of some sort. Above them, a line of figures who have (presumably ) survived a dunking ride away on horseback. I’ve seen photos many times but to see the whole vessel and all its staring gods and warriors and wild animals was just fantastic. While the exhibition has the REAL ones of these, there are some nice reproductions to see for free – and photograph – in the Museum of London. It’s hard not to conclude that Celtic artists were having more fun than the Romans and Greeks working at the same time. 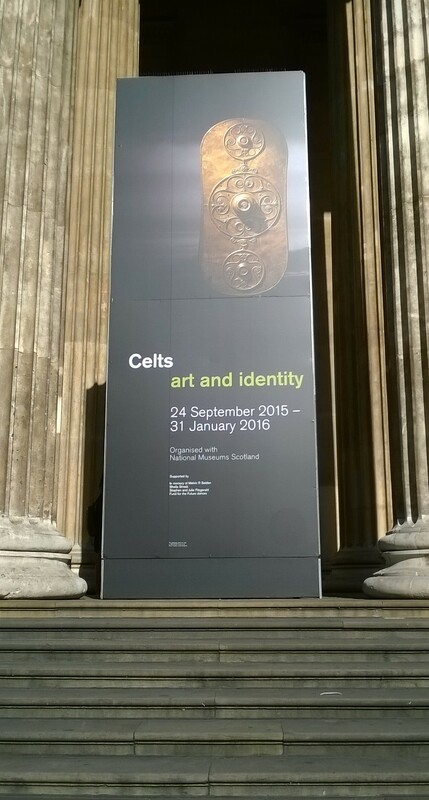 The Celts seem to have been unconstrained by any rule that things had to look like what they were supposed to be. 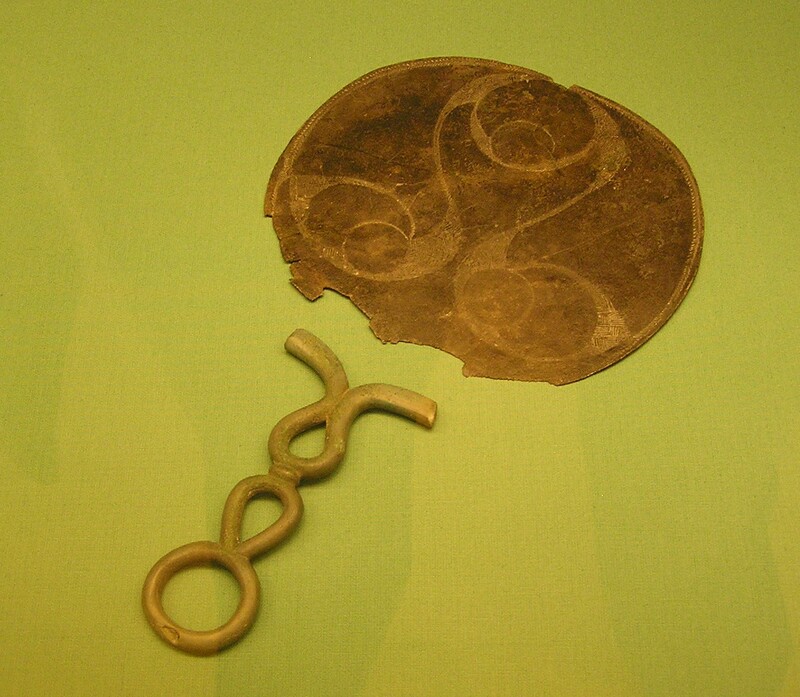 Here (again from elsewhere in the British Museum) is the back of a mirror with a swirly design. Here’s the same thing upside down. Another face looking back, in a less than flattering way? Or is that just imagination? 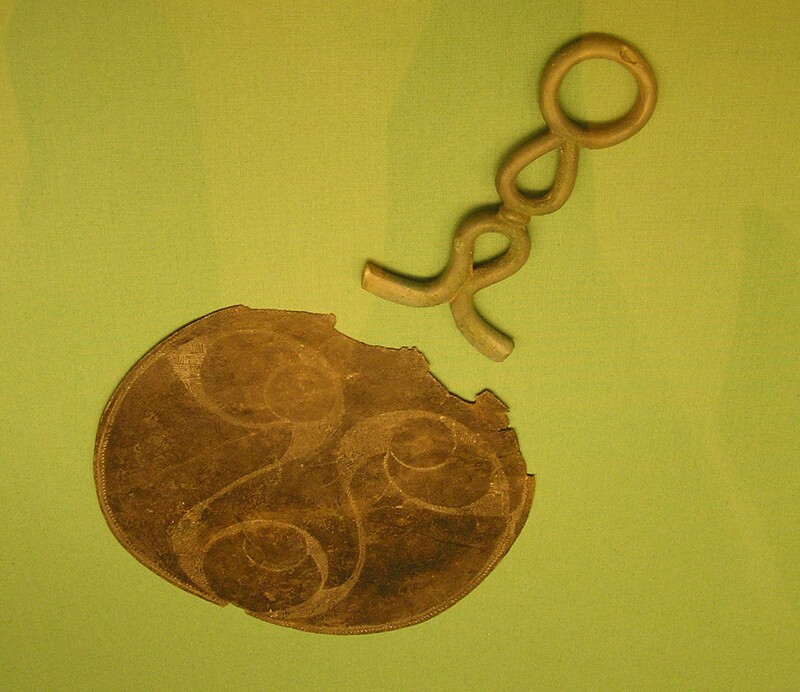 Maybe another reason why we find the Celts so hard to pin down is that they were deliberately enigmatic. Nothing enigmatic about bling, though. There was a LOT of neckwear on show. 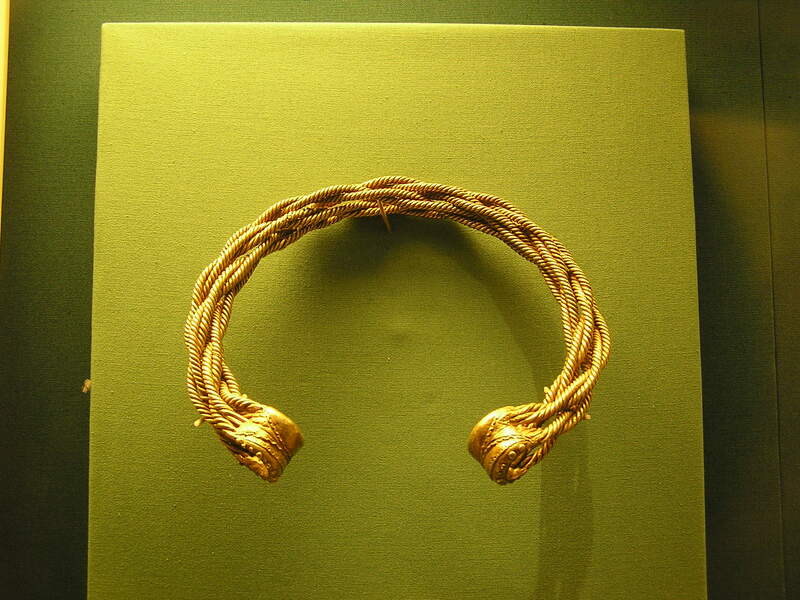 Here’s one of the torcs that didn’t make it into the display. The exhibition carried on past the Roman withdrawal and down the centuries, with some gloriously detailed medieval manuscripts. 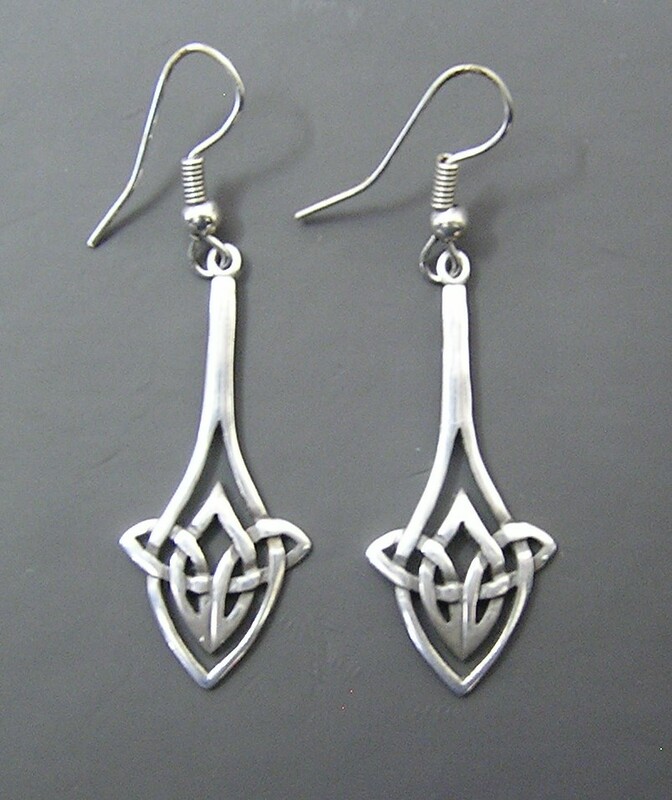 Frankly some of what we now think of as Celtic looks suspiciously Viking and a few of the creations from recent centuries seemed to say as much about the times of their creators as about the ancestors they were depicting. As I neared the exit I was regretting the fact that I couldn’t photograph any of the best Celtic-influenced contemporary art and design when I realised I already had some of it dangling from my very own ears. Here it is. Previous PostAnother skeleton!Next PostA Year of Ravens – Rebellion is stirring! Looking forward to “A Year of Ravens – a novel of the Boudican Rebellion”. Please be sure to let the colonies know when it is available. Will you produce an audio book? The colonies will definitely be kept informed, Jamie, because four of the seven authors are colonials themselves. As for audio – that’s a good question. It’s an independent project and nobody has mentioned audio yet – I suspect since our styles are very different we’d need a wide cast of readers. But, who knows?